aText accelerates your typing by replacing abbreviations with frequently used phrases you define: for example, make an abbreviation "myname" to insert your name "First Middle Last" in any application. With aText you can easily avoid typing the same thing over and over. Insert images and formatted text. Capitalize new sentences. Correct double capitals. Insert the current date and time in any format. Insert day in the future or the past, for example: next Sunday, previous Monday. Embed clipboard content in snippet, embed another snippet, use editable fields in snippet, send any key (such as Esc, Tab, Enter, arrow keys, etc). Reposition the cursor in the expanded snippet. 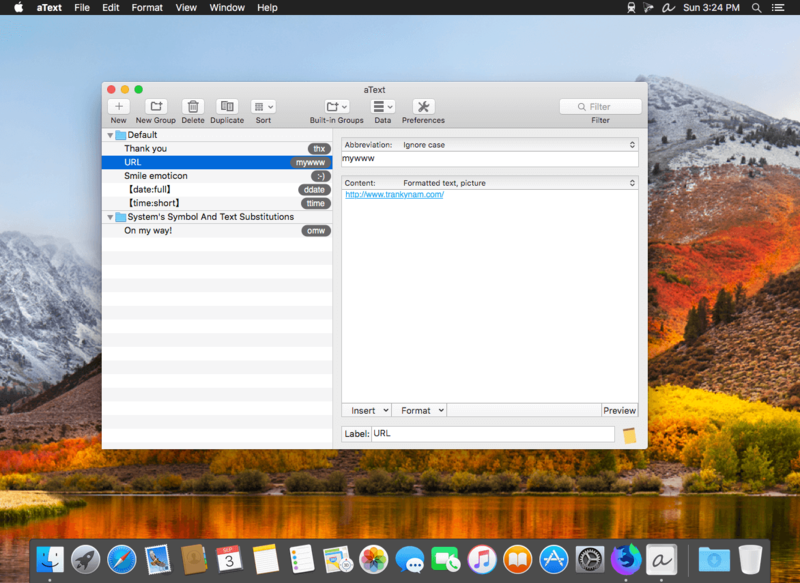 Invoke AppleScripts and shell scripts. Built-in snippet groups for correcting misspelled words, HTML, and jаvascript code. 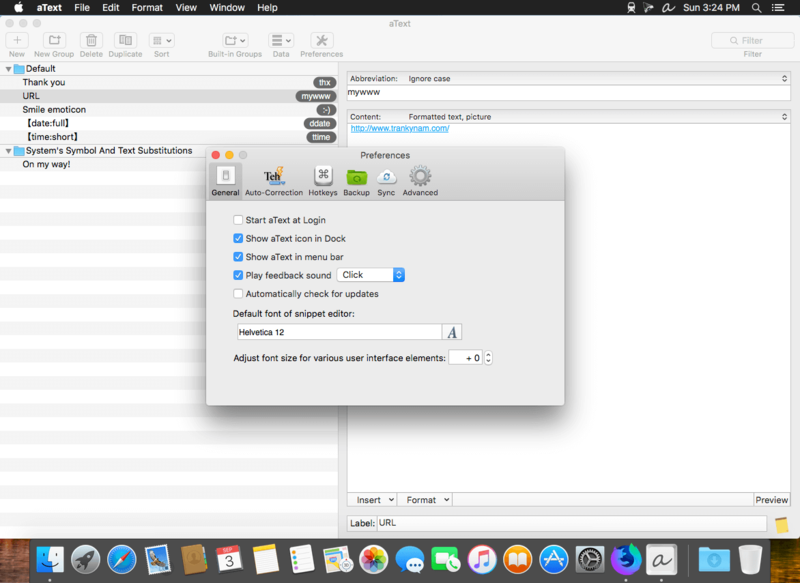 Import data from TextExpander, TypeIt4Me, SpellCatcherX, Automaton, CSV file. Works in Windows virtual machine by Parallels, VMWare Fusion (in Unity mode), VirtualBox. Works in Windows via TeamViewer and Remote Desktop Connection clients.